Before you begin, you’ll need your secret FullStory API key to connect your FullStory account with Help Scout. 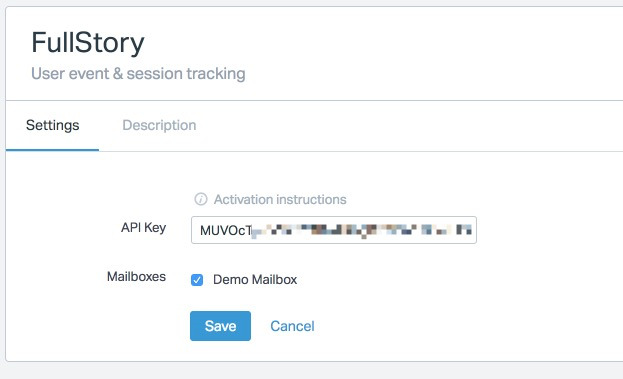 To find it, log into FullStory, click the Settings tab in your left-hand sidebar, then select Integrations & API Keys. If there’s already a key listed there, great! If not, click the Generate button to create a new key, then click Save API Key. Copy the key to your clipboard so you can paste it into HelpScout. Log into your Help Scout account and navigate to the FullStory App. Click the Install App button to install the FullStory widget on your HelpScout account. That’s it! 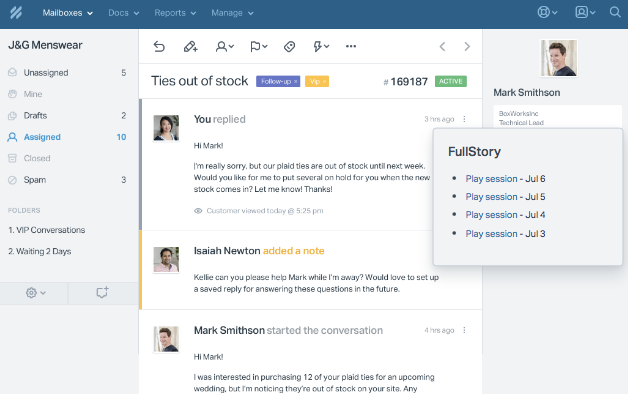 When you open a ticket, you will see the FullStory widget in the Customer Profile sidebar on the right. If the user who submitted the ticket is found in FullStory, we’ll show links to their most recent sessions.